The ending week brings a lot of news related to the coming versions of Ram pickup, Fiat 500 and Bravo, and the first restyling of Fiat Linea. The offer of the bick truck from Ram will add a luxury version called Laramie Limited, featured with heated steering wheel, ventilated front seats and heated rear seats, to replace the Laramie Longhorn version. It will be Ram’s most expensive pickup and is part of the strategy of the brand to cover a the fast growing segment of luxury trucks. Chrysler has seen an opportunity among those clients that are not cowboys but want a big truck to use in the city. 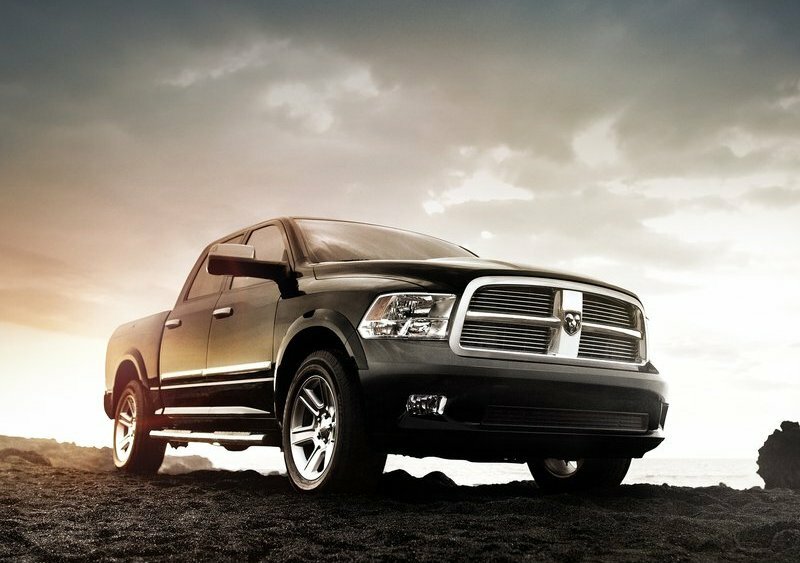 In fact this kind of pickups are allowing Ram to rise the average price of its products. Last year, 13% of light -duty Ram pickups were sold for at least $40.000 (+9% compared to 2010), and among heavy-duty one, those pickups with prices above $50.000 represented 29% of total sales (+22%). In other words a new subsegment has born and Ram is ready to cover it. For the coming months, though, they should develop an exclusive model (not only an update of current model) in order to address more directly this kind of client. Last year, Ram sold around 315.000 units, 78% of them in the US, up 23% on 2010 figures, double of growth that had its eternal rivals, Ford F-150 (+11%) and Chevrolet Silverado (+12%). 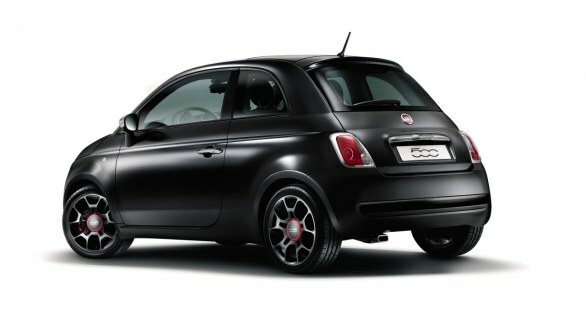 Meanwhile in Italy Fiat has introduced the 500 Model Year 2013. 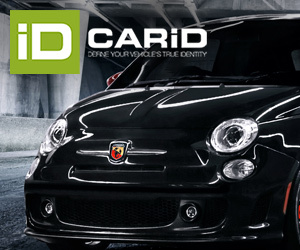 Available in both body types, 3 door hatchback and cabrio, the car is now offered with 6 new colours and 2 new versions. The MY 2013 introduces the blue “Dipinto di blu”, the purple “Dolce”, gray “Colosseo”, red “Diva”, yellow “Sole” and Beige “Cappuccino”. They will be also available with 2 more interior options: Cioccolato/Avorio (Chocolate/Ivory) and Gray/Black. Lounge version is now possible to have with 14 axes rim of 15″. In terms of accessories, there are 2 more versions: the Street (Black Matt color, 16″ rims, spoiler, new seats, crome gearbox) starting at €13.750 for the 1.2. The other version is called Color Therapy, that according to Fiat, it develops the pop and coloured soul of the 500 through colours that had made this model so famous. MY 2013 does not mean any change in design, as Fiat is waiting for the first real facelift in the coming months in order to enhance in a better way the new rivals. 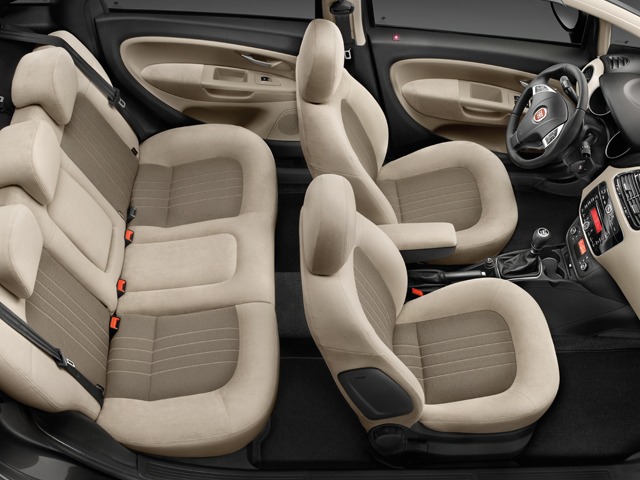 After some weeks of the presentation of Fiat Bravo MY 2013 for Brazilian market, they have showed the Sporting version. From next week Brazilians will be able to buy the Bravo with 17″ rims with new sporty touch outside and inside. It adds a red frame in the grill, a spoiler and a suspension 25mm lower than its ‘common’ brothers. Sky Dome roof is standard. Will be available with both gearbox, manual or Dualogic starting at R$58.140 (€23.000). Is then more expensive than Essence version R$53.140 (€21.000) and cheaper than Absolute (€24.600) and T-Jet versions (€26.200). The engine is 1.8 E-torQ and is only available with 4 different colors: yellow, white, red and green. 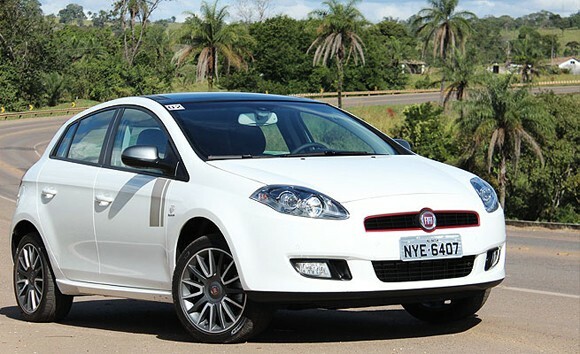 Fiat , which is Brazil’s best selling carmaker, is trying to recover its market share in C-segment due to the fall of sales of its Bravo and Linea. During the first 5 months of 2012 they have sold 3.478 Bravos and 3.419 Lineas, far away from the leader of the segment, Toyota Corolla with 20.681 units sold so far. Alfa Romeo wants to keep the good results of its C-segment Giulietta. 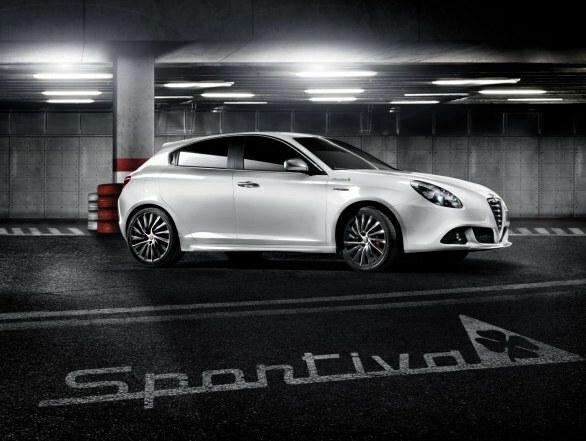 In April and May it was Italy’s best selling car in its segment surpassing VW Golf. After the arrival of entry level version of 1.4 T with 105 HP, now is turn for a more sporty version. The Supersportiva will arrive soon offering an interesting sporty package with 1.4 MultiAir 170 HP , 2.0 JTDM 140 HP or 2.0 JTDM 170 HP. It comes with 18″ rims (the same of QV version) with Brembo brakes, darken stop lights, matt external mirrors; sporty pedals, leather seats with red stitching, among others. A good way to keep shaking the market in a moment when all segment sales are droping. This year is expected to be really hard for Alfa Romeo’s sales figures as they just count on 2 models and Giulietta one is now having problems outside Europe with the arrival of new competitors. In Italy this car should take the comand of C-Segment sales, thanks to a wider range of versions and GPL options, now more appreciated by Italians. YTD sales figures indicate the Giulietta is just 2.951 units behind the Golf, but it seems this gap will reduce as the Giulietta was in May, for second month in a row, the best selling compact in Italy. Finally from Turkey arrives the last news. 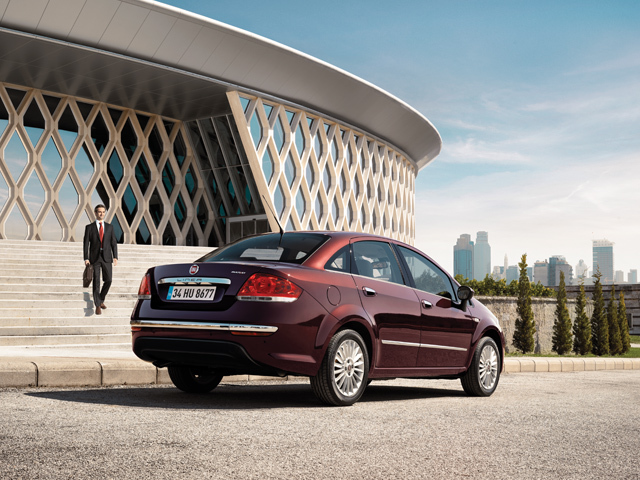 The Linea, Turkey’s best selling car, has received its first facelift since it was introduced in 2007. The make up affects the outside and inside design and allows it to look much better and elegant. Now it comes with a rear spoiler and inside there is a new design for the steering wheel and redesigned instrument panel, and a new dashboard. Engines don’t change: 1.4 Fire with 77HP, 1.3 MultiJet 95 HP and 1.6 MultiJet 105 HP. Inside the whole dashboard and panel were changed and took from the Punto Evo but adding better looking materials. Fiat produces the Linea along with local producer, Tofas, and this year it has become country’s best selling cars beating its rivals from Renault, the Thalia and Fluence. Jan-Apr sales figures indicate that 8.710 units of this sedan (C-segment in Turkey) were delivered, up 13% in a whole market that drops 19%. Eventhough the good result, it is practically the unique successful model of the company as the Albea sedan (B-segment) is getting really old and its sales falling dramatically. Turkey is an important market that is expected to grow to interesting levels in the next years.